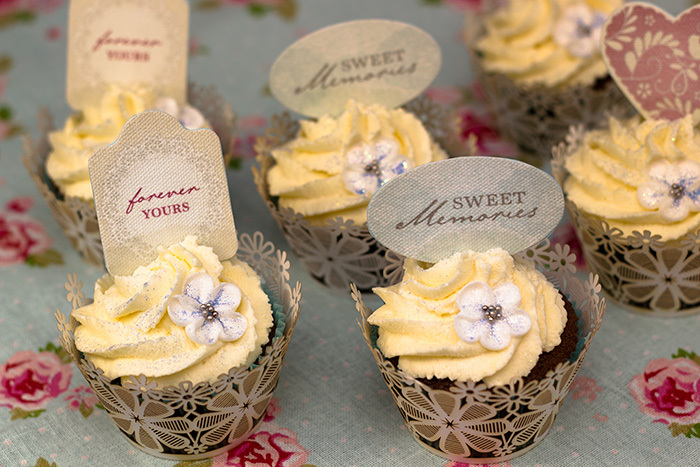 Simple, elegant home made wedding cupcakes. This week I had the delightful job of making a small batch of cupcakes for a bride to enjoy on the morning of her big day with her bridesmaids. 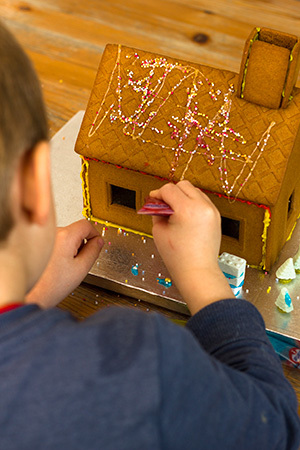 I had free reign to make what I wanted which was lovely – a quick search on Pintrest gave me lots of inspiration! Her favourite cake is chocolate so I went with a chocolate sponge and a light whipped cream frosting. Here is the recipe. 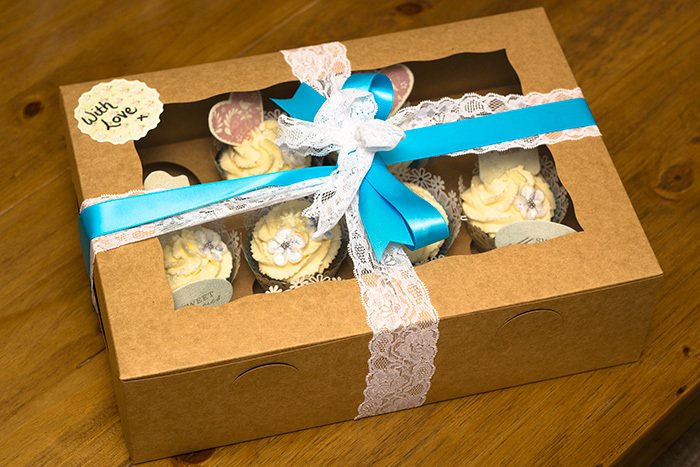 The reason I am sharing them with you is to show you that wedding cupcakes can look beautiful and elegant without having to go to lots of trouble. My original idea was to use mini luggage tags with the words ‘I do’ on them – an idea you will see a lot of images of on Pintrest! But while looking for them, I came across these stickers which I thought would work well. So I just stuck them onto card with a cocktail stick in the middle. Again – these could be personalised if you have time. 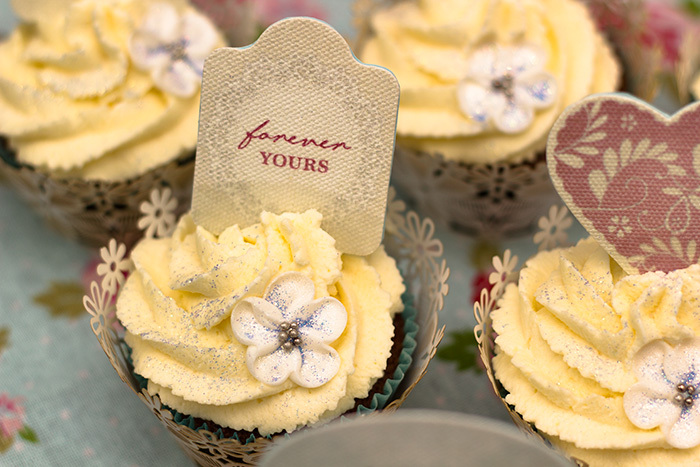 These cupcakes can be tailored to any colour scheme. I chose the whipped cream frosting as it tastes delicious and is a beautiful blank canvas to work on. Usually I would have made the flowers but I didn’t have the time this week. 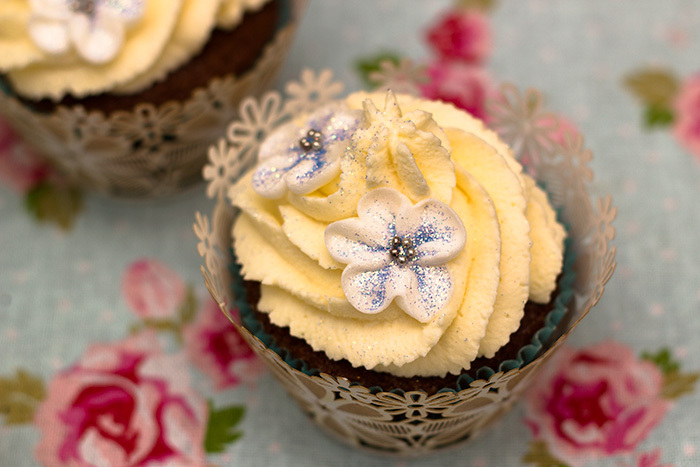 So I bought plain white ones and sprinkled edible blue glitter on them to tailor them to the wedding colour scheme. 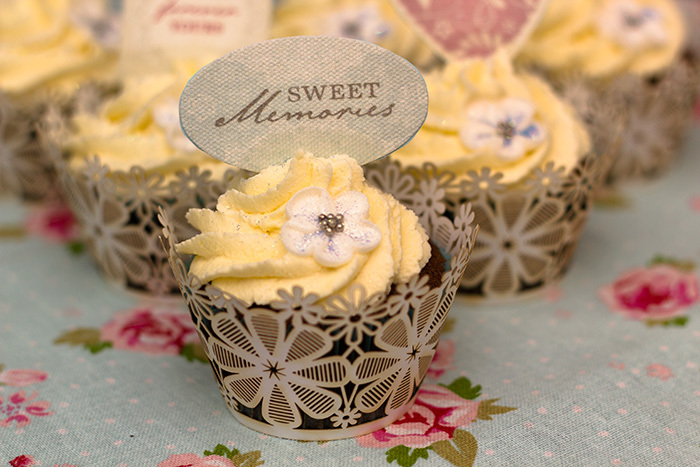 Cupcake wrappers make the cakes stand out and look different, and they don’t have to be expensive. There are lots of beautiful designs out there! And in my opinion, presentation is just as important as how they taste so I packed them up with a bit of lace and ribbon. It’s not much, but it shows how much you care and gives you a sense of pride over your creations. 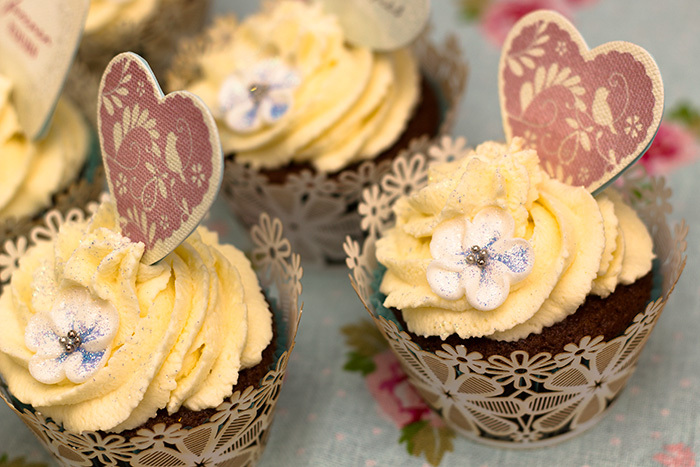 If you are thinking of making some wedding cupcakes – Go for it! Hi. Came here by suggestion of Bustleandsew and I find your work amazing! I would like to ask if there is the possibility of posting Flap jacks recipes. I love these and never found a basic traditional recipe. Hi! Thank you – I’m glad you like the recipes. And yes absolutely – I don’t have a ‘go to’ recipe for flapjacks so I will find one and post it as soon as I get a good one!